British Prime Minister Theresa May has replaced Boris Johnson with a loyalist, former health secretary Jeremy Hunt, as foreign secretary and gave David Davis’ job of Brexit secretary to Dominic Raab in a bid to shore up her authority. British Prime Minister Theresa May met with her shaken-up Cabinet on Tuesday as she tried to restore government unity after the resignations of two top ministers over Brexit. 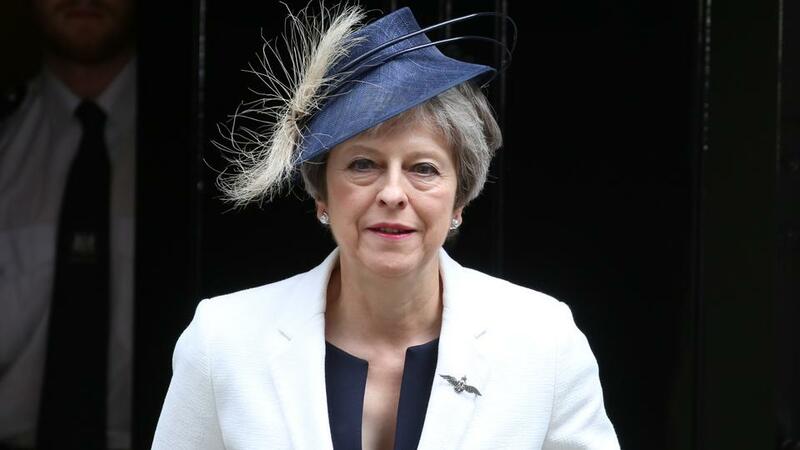 May has spent the past few days fighting for her political life as first Brexit Secretary David Davis and then Foreign Secretary Boris Johnson quit, saying May’s plans for future relations with the European Union did not live up to their idea of Brexit. The Cabinet in Downing Street this morning. Productive Cabinet meeting this morning – looking ahead to a busy week. And sending our best wishes to @England for tomorrow! The resignations rocked May in a week that includes a NATO summit starting Wednesday and a UK visit by US President Donald Trump from Thursday. He has criticised May over her response to terrorism and approach to Brexit, and infuriated many in Britain when he retweeted a far-right group. “He’s been very, very nice to me, very supportive,” Trump said. Johnson quit Monday with an incendiary letter accusing May of killing “the Brexit dream” and flying “white flags” of surrender in negotiations with the European Union. May replaced Johnson with a loyalist, former health secretary Jeremy Hunt, and gave Davis’ job to Dominic Raab in a bid to shore up her authority. Two years after Britain voted 52 percent to 48 percent to leave the European Union, May is trying to find a middle way between two starkly differing views — within her party and the country — of the UK’s relationship with Europe. A plan agreed by May’s Cabinet last week seeks to keep the UK and the EU in a free-trade zone for goods, and commits Britain to maintaining the same rules as the bloc for goods and agricultural products. May says the plan will deliver frictionless trade with Europe and avoid a hard border between the UK’s Northern Ireland and EU member Ireland.